Perhaps you are not aware that using cracks, keygens and serials is not only illegal: it also exposes your personal data, your address lists and your computer to several risks. 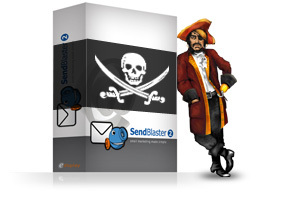 If you have already made the mistake of obtaining a SendBlaster crack, installing a pirated version, and you want to put right before it’s too late, you just have to buy a legal license. Upon request we can provide appropriate tools and guidance to ensure the integrity and security of your data.